Last night, I stayed on the mountain and visited the nature park just before 7:00 a.m. this morning. In front of the entrance of the park, there are 2 hotels, Tsugaike Sanso Hut and Tsugaike Hutte. By the way, Tsugaike Panorama Way will be open at 7:00 a.m. on weekends and holidays from Sep. 9 (Sat) to Oct. 9 (Mon). 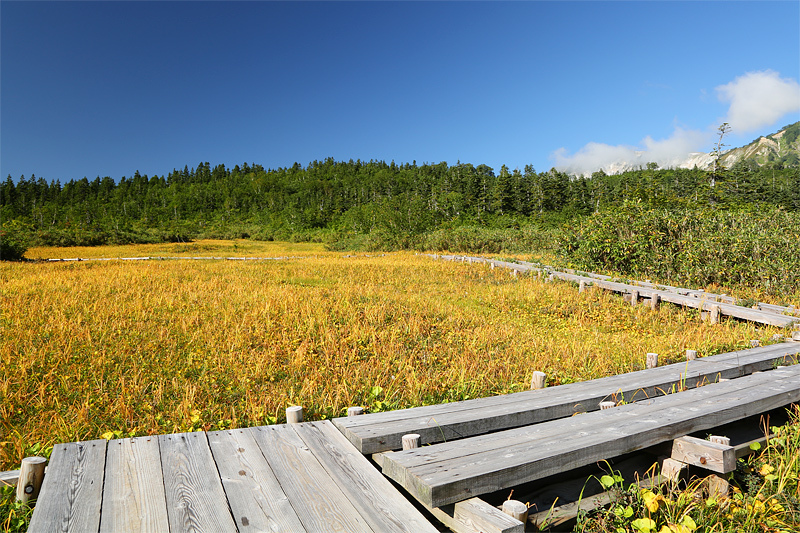 In the marshes, the grass had changed the color into autumn tints greatly. Especially, the further part of Ukishima Marsh was very beautiful. 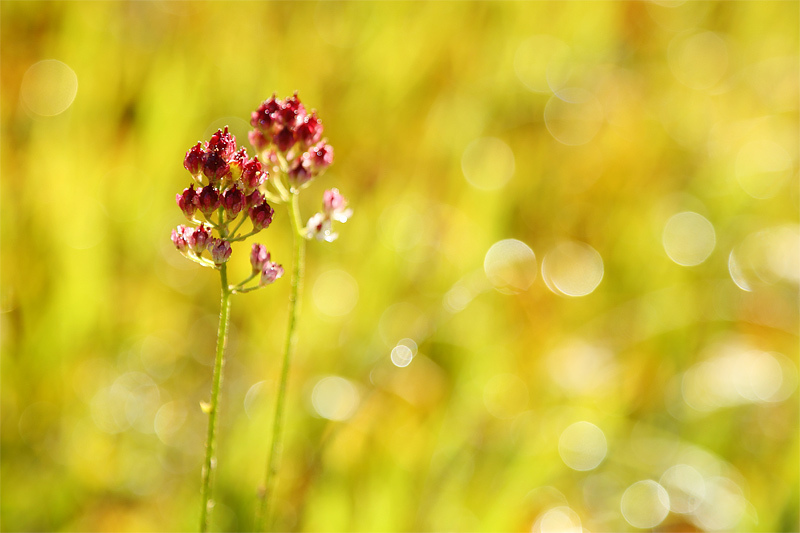 The temperature was just 8 degrees when I started to walk, but it got warm with the sunlight. The season of Shiraneninjin looked to almost finish and I found Iwashoube getting red. Mousengoke, a carnivorous plant, is also getting red around the pond. It started blowing a wind at around 8:00 a.m. and the clouds were moving fast in the sky. 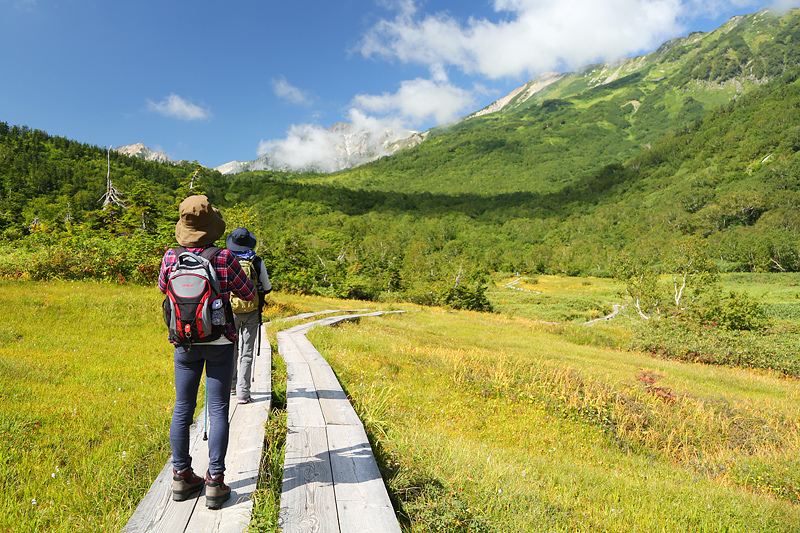 After 9:00 a.m, I met more and more hikers coming up by Tsugaike Panorama Way. 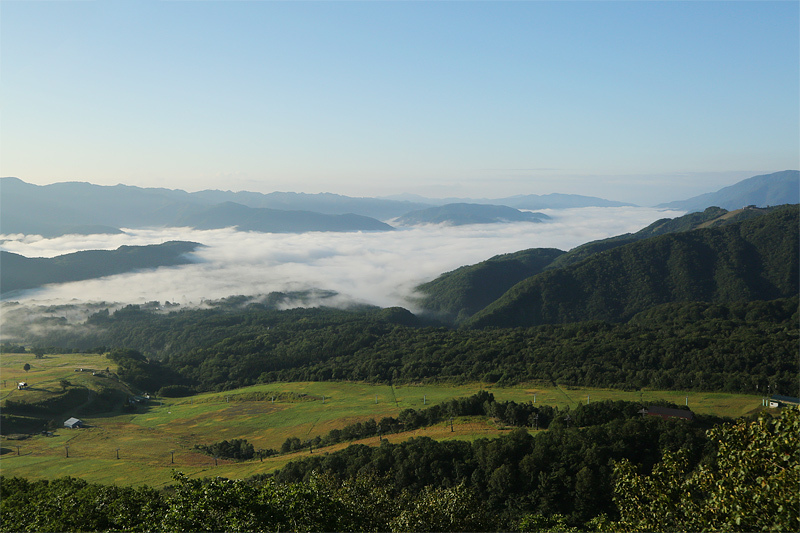 By the way, when another reporter took the gondola from the mountain foot, the sea of clouds spread out on the valley. From the nature park, we could see Mt. Asama (2,568m) and Mt. 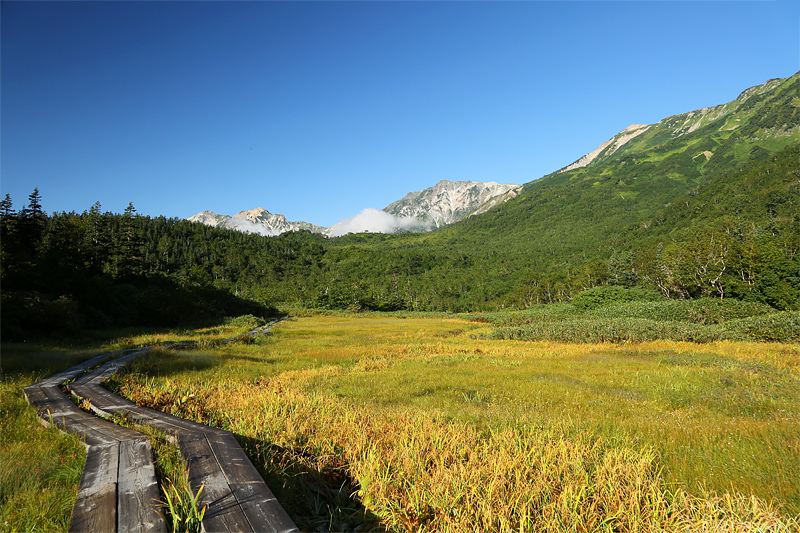 Azumaya (2,354m) before Mousen-ike Pond.